Re: Happy Member Pictures Thread!! Calamansi soda is hard to explain... my friends call it filipino lemonade. I don't remember ever seeing a single lemon in the Philippines, so I think this is our equivalent. So filipino lemonade that's cabonated? Banana chips are hard to describe. Just imagine a crunchy banana with some sugar on it. 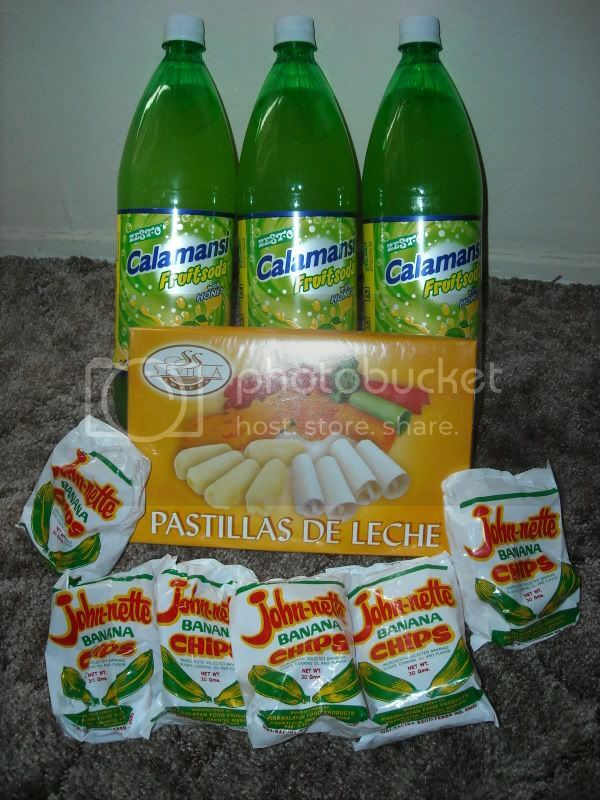 You can't get Calamansi soda at all in America, nor that particular brand of pastillas, nor the particular brand of chips. I know goldilocks sells some decent pastillas, but I like them fresh from the homeland. How come everyone has to be Filipino? All my friends on FFXI were Fili. 80% of my co-workers are Fili. 95% of the people I went paintballing with this last weekend were Fili. I feel left out. When did being white become a minority? I miss the good ole days when I was friends with the only asian guy in high school. Graduation then Pizza then Fanime and Hotel + lots of fun = TONS OF FUN! You say that like you won't be there, lol. ha, I see a LOLcat. xD I'll do that! omg good idea!